It’s the most wonderful time of the year — unless you’re the one tasked with untangling and hanging all the holiday lights. 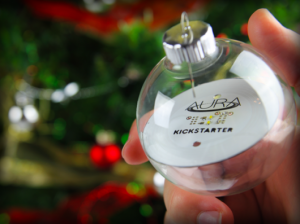 Living in 2014 means you and I are about to be blown away by the wireless, color-changing, smartphone-connected Christmas lights of the future. Got your sunglasses handy? It’s about to get brighter than the sun. Lumenplay’s crazy LED light strings allow you to have 16 million different colors! 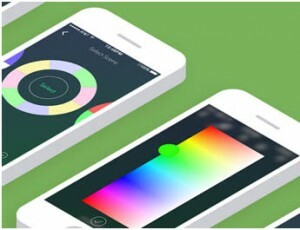 They even have an app to let you pick motion effects and the pattern. This latest technology offers new ways to deck out our house with the coolest lights. Going Christmas light-gazing is a holiday tradition for lots of families, especially going to see the over the top and most extravagant ones. 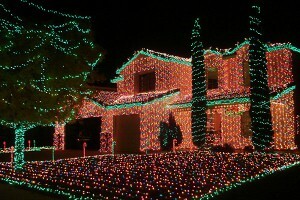 Each year, some homeowners go all out and even some compete to see who has the more decked-out house. In some locales there are even tour buses that will take you all over to see the most stunning displays. Being from Arizona, where the desert really doesn’t give you that Christmas feeling, the one thing that makes the difference is all the lights. Every year my family goes to see displays in the most poplar spots, and each year decorators go for it more and more. It’s a tradition where, if we don’t go, it doesn’t quite feel like the holiday. Even though some houses go way overboard, and may cause annoyance to their neighbors. I can definitely see how if you’re not all in agreement, that your neighbor trying to break the world record for lights right next door could become a bit obnoxious. But for the Christmas light artist it may be what makes them happiest each holiday and they love to see the smiles on peoples’ faces as they walk by. 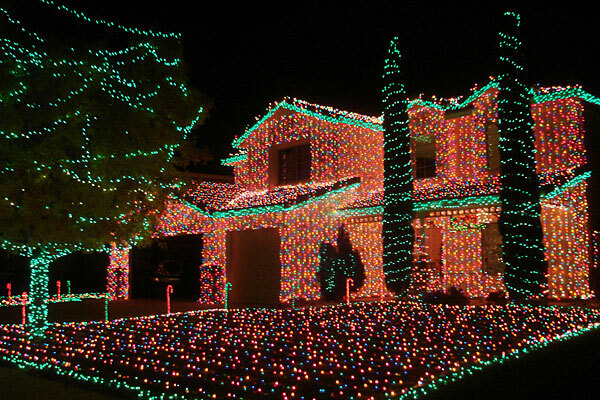 So, even if you’re not trying to break the world record for lights, your next-door neighbor might literally be trying to. Although some houses go way overboard, it might be the biggest joy for some families. With the improving technology each year, you can expect the lights to get brighter, more colorful, and just outright more outrageous. But isn’t that the fun of it? Next time you’re sitting around with family and have some extra time, go out and see if you can find the most lit-up house, and start a tradition with your family that you might carry on with you for many years.